YMCA Phoenix House Britwell is a homely 10 bed semi-independent service for young people aged 16-25 and leaving care. The service is located in a leafy residential area of Britwell, on the border of Burnham. All of the accommodation units are fully furnished and residents have access to shared facilities such as a kitchen, computer, Wi-Fi, bathrooms, and laundry room. The service is designed to provide safe accommodation and 24-hour support to residents. It’s aimed at appropriately safeguarding them, as well as promoting their wellbeing, independent living skills and their engagement in activities, such as volunteering, employment, education or training. Due to recent change in legislation, young people placed in the service are now able to remain up to the age of 25 if they are engaged in education, training and volunteering. Some young people referred don’t speak any English, so staff make sure they learn basic English, encouraging them to attend college on ESOL courses. These young people are often traumatised by their experiences, are suffering from depression and Post Traumatic Stress Disorder and require a great deal of emotional support. Referrals come from Slough Borough Council, and sometimes from neighbouring local authorities and the service currently has seven boys and two girls in placement. There is a bright and airy lounge for the young people to gather and watch TV, play games and socialise plus a big garden. 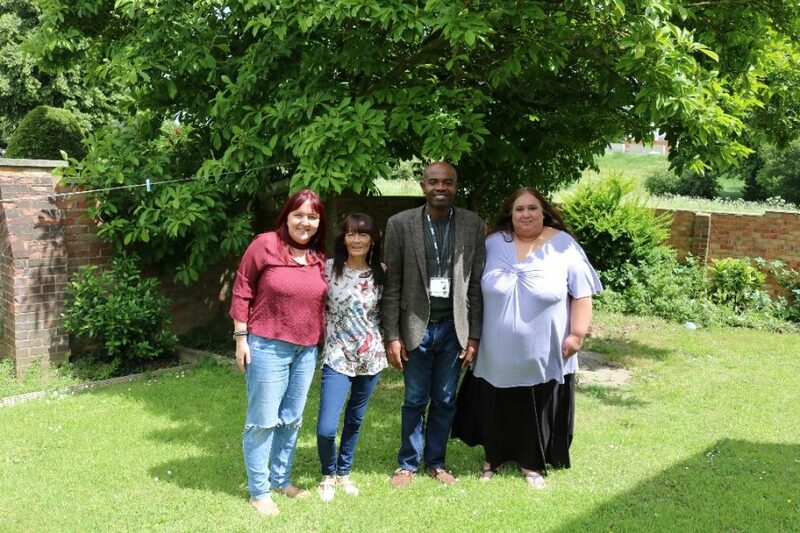 “We run group activities such as day trips and outings to the cinema take place regularly – next week we’re off to see Jurassic World,” says Housing Officer Mahira. There are seven staff: one Housing Officer, along with three Duty Support Officers, two Night Support Workers who provide 24-hour support. Each young person has a dedicated Support Officer. The service is providing much needed stability for young people some who come from such chaotic and neglected backgrounds, with no positive frame of reference. For example, a number of them are now engaged in college despite their difficult backgrounds. The staff team are highly motivated and feel very rewarded when a young person does finally move on positively to live in the local community.